Established in 1872, the Maryville University of St. Louis is one of the oldest private institutions in St. Louis. The university is located in St. Louis County, Missouri. In addition to the main campus, the university also operates centers in Lake Saint Louis and Sunset Hills in Missouri and Scott Air Force Base in Illinois which offer facilities and services for students enrolled in the University's Weekend and Evening College. There are eight colleges and schools at Maryville University and they are College of Arts & Sciences, Design & Visual Art, School of Adult and Online Education, John E. Simon School of Business, School of Education, Myrtle E. and Earl E. Walker College of Health Professions, Division of Student Success, Center for Teaching and Learning and University Library. Maryville offers more than 90 degrees at the undergraduate, masters and doctoral levels and the most popular majors include: Health Professions and Related Programs; Business, Management, Marketing, and Related Support Services; Psychology; Biological and Biomedical Sciences; and Visual and Performing Arts. The university follows a semester based academic calendar. The total student population at the university is over 6,400 of which more than 2,700 students are enrolled at the undergraduate level. The Maryville University has a student to faculty ratio of 13:1 and the acceptance rate of 93%. The Chronicle of Higher Education named Maryville University as the third fastest-growing university. The students at the university come from all the 50 states and from more than 45 countries. It is accredited by the Higher Learning Commission and is a member of the North Central Association of Colleges & Schools and the nursing program is accredited by the Commission on Collegiate Nursing Education and the Missouri State Board of Nursing. Karen Tabak, professor of Accounting and Management at Maryville University says the field of accounting is much more than calculations. It s about challenging the numbers, challenging the systems and to continually ask questions. If the idea sounds appealing, consider Maryville where you will gain valuable professional experience by applying your technical knowledge to real consulting projects and service learning opportunities. Maryville University s undergraduate program in Actuarial Science prepares students to become business executives who specialize in financial risk evaluation and assessment. The Society of Actuaries has recognized Maryville for its advanced undergraduate program. Small classes, exceptional faculty and a nearly 100 percent job placement rate make Maryville one of the top programs in the St. Louis region. Imagine yourself in the growing field of biochemistry finding the next vaccine for a deadly disease or investigating crimes and disasters. At Maryville University, our biochemistry program s expert faculty, challenging curriculum and internships in the St. Louis region s top chemical, pharmaceutical and biotechnology companies will prepare you for advanced degrees and a career in one of the top-paying jobs of the future. A degree in biology at Maryville University can take you almost anywhere on the planet and launch you in a career in medicine, veterinary care, engineering, agriculture, dentistry, environmental protection. The possibilities are endless. By studying everything from atoms to organisms, you ll gain a thorough understanding of life on this planet and will be prepared to apply it to a professional career in the life sciences. Whether you re looking to switch careers or planning your first, some of the fastest growing jobs over the next decade are in health care. At Maryville University, a major in biology with a concentration in Biomedical Science will help you focus your career goals. The St. Louis region has earned a reputation as a world-class medical and biotechnology center. And Maryville University graduates play a significant role in that reputation. b) Unofficial high school transcript and GPA of at least 2.5 (on a 4.0 scale). e) TOEFL: 61 or higher is required with speaking sub-score of 23 or higher. c) TOEFL/IELTS scores if the applicant’s native language is not English. 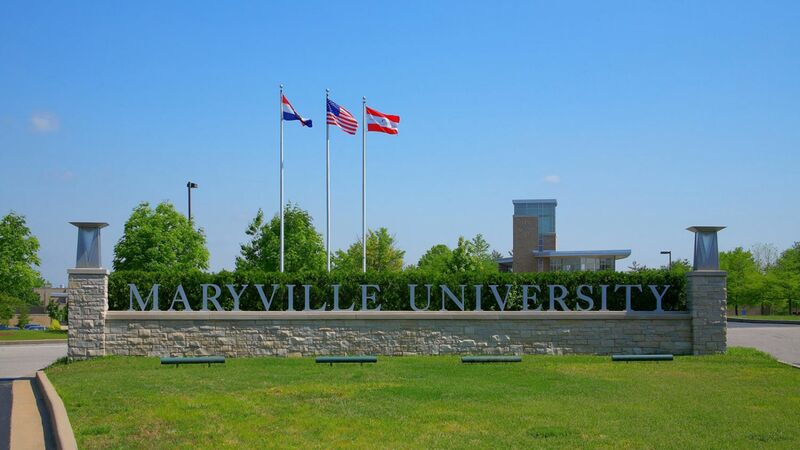 The annual cost of living at Maryville University of St. Louis is $ 10088 approx.